Windows Phone 7 Tech Preview Can't Connect to Hidden Networks...Do We Care? "Evidently, Windows Phone 7 cannot see ergo connect to hidden wireless networks, the kind where you don't broadcast your SSID. Although not a lot of people go this extra step for security, we're sure a few of you do and in this case, it appears you are out of luck." There are things that Windows Phone 7 will be lacking at launch that will matter to many people, matter to some people, or matter to virtually no one. The lack of copy and paste? That will impact a lot of people. Not being able to connect to a hidden WiFi network? I'm leaning toward the "no one" category, but you tell me: would this present a problem for you? 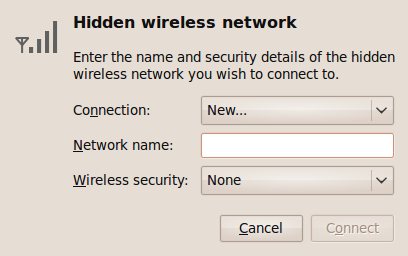 Is your WiFi network hidden via an SSID no-broadcast setting? I've never set up my WiFi that way because security through obscurity is rarely an effective barrier - if someone's sniffing for WiFi networks, they'll be using tools that will ID your "hidden" network - so what's the point? There's been more than one article that has shown why hiding your SSID is a bad idea. I'm inclined to agree this shouldn't be a big issue. This is the exact way it started with the ZuneHD. You could only connect to networks that broadcasted their SSIDs. Lots of people threw fits about it and eventually Microsoft released an update that allowed you to connect to hidden networks. From what I saw before, it was the people that needed to connect to networks they couldn't control, like college networks, who were really hit by this. This is just getting worse and worse. It seems we learn almost daily of another feature that has been standard in WM for years that has been left out of WM7. Another Giant Leap Backward for Mankind seems to be their motto. Now this makes no sense if you care about your customer base, but then we current WM Users, and all our WM Software, have been abandoned by MSoft already haven't we. So it would seem that MSoft is determined to reel in a new Customer Base that won't 'miss' things that they have had for ages now. Great plan! Besides, who uses blind networks anyway? Hmmm - how about - my company, and my home! I guess that just doesn't matter as long as I can connect at Starbucks! Honestly. When my HD2 is no longer cutting it, MSoft had better come out with WM7.5 or I'll be off to Android. You can bet Google hasn't made a screwup like this - they like to be able to steal your data at WiFi speeds ! Who cares. Well I do. Because my own home network is a hidden one too. I hate it when sites like these suggest that the lack of these features (which were present in their former range of phones and are being used actively) are insignificant. The lack of features that we take for granted is indeed a step backward NOT forward. Again, ppl should stop concentrate on visual gimmicks! In fact matters are getting worse when hardware manufactorers also start to ditch features that used to work properly (Incall-recording for instance). After reading the comments on the article, it is as I suspected. You CAN connect, you just need to enter the SSID. If it is your network, and you don't broadcast, and you can't remember what it is or can't spell it...well, you are an idiot. If it is someone else's network, and you don't know whose it is, or they won't tell you what the SSID is...then stay off it. Last edited by Sven Johannsen; 08-07-2010 at 06:58 PM..
Well, this is a problem. Our corporate security policy requires that the SSID of our internal networks be hidden. So there are no workarounds at this point other than to get the suits to change their policy. We need Microsoft to add the ability to setup a manual connection. That should be easy for them. I get that maybe they left it out because 80-90% of the people wouldn't run into this problem. But everyone at my company will/might/potentially could.